This may shock some people, but when the pumpkin spice bandwagon rolls in each fall I never jump on it. Don’t get me wrong, pumpkin spice is an indispensible part of the season. Whenever I see or hear that phrase, I automatically think of everything I love about this time of year, including the colorful fallen leaves and my cozy scarf collection. When I first tried the beloved flavor at Starbucks last year though, the taste just didn’t resonate with me. 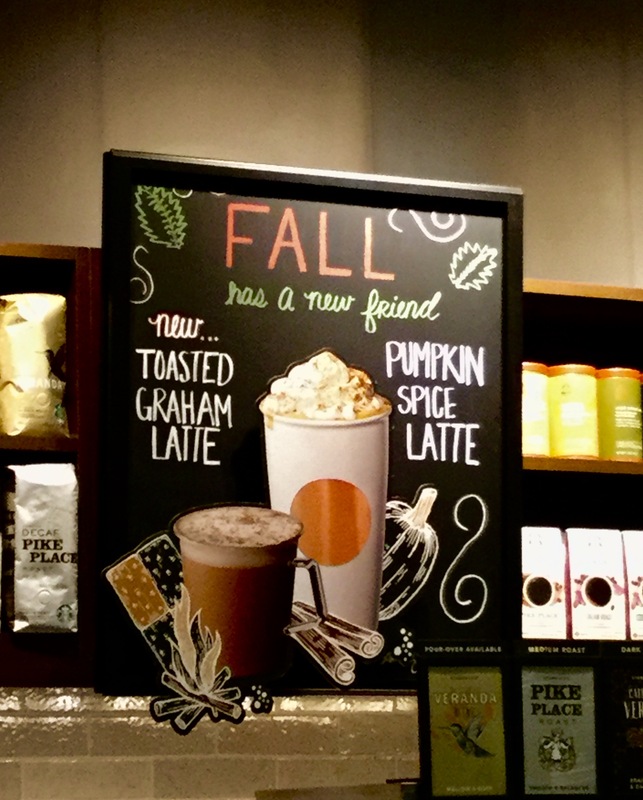 Ever since that day, I have been hoping for the release of a new fall drink that I can enjoy. Starbucks R&D manager Yoke Wong, the creator of the beverage, said that she drew inspiration from the taste of the cereal crumbles and milk leftover in your bowl when eating breakfast. As a girl who drinks leftover cereal milk straight from the bowl, the TGL instantly sounded much more appealing. I set out for the nearest Starbucks as soon as I could to try the toasty new latte. The first thing I did when I bought my TGL was remove the lid and smell the goodness – and let me tell you, this drink smells amazing. A layer of graham cracker crumbles is sprinkled on top of the latte, and the heat of the beverage amplifies its sweet scent. The intense graham cracker smell instantly generated a feeling of nostalgia, making me think of s’mores and roasting marshmallows with my friends. Even before taking the first sip, the TGL had me engaged in a way that I had never expected. I also could not have predicted how the Toasted Graham Latte would ultimately taste. I must say, I was pleasantly surprised. As I worked my way through the top layer of the drink, which consists of foamy sweetened cream and the previously mentioned graham cracker crumbs, the drink had a softer, lighter taste. The combination of cream and graham cracker was excellent and it definitely reminded me of cereal milk as I drank it. Once finishing the top layer, however, the overall flavor of the latte was far more robust and perhaps even a hint spicy. While I cannot exactly describe what I tasted, I know that something else was mixed in with the espresso – cinnamon, maybe? Whatever it was, that unexpected spiciness made the TGL a much heartier beverage. Considering my usual Starbucks order is a frappuccino heaped with whipped cream and chocolate drizzle, I can really appreciate a drink that puts more emphasis on savory than sweet. Another great aspect of the TGL is that it’s a healthier choice than other Starbucks drinks. A Grande (16oz) Toasted Graham Latte has 300 calories, 9 grams of total fat and 6 grams of saturated fat, which is a bit less than a Pumpkin Spice Latte of the same size (380 calories, 14 grams of total fat and 8 grams of saturated fat). In terms of sugar content, the TGL has 20 percent less sugar than the PSL – a fairly significant difference. Grande frappuccinos, meanwhile, are on average 420 calories and contain roughly 15 grams of fat, 9 grams of saturated fat and 61 grams of sugar!! So while the Toasted Graham Latte may seem like a heartier drink, it is in reality a much better nutritional option for any coffee aficionado. 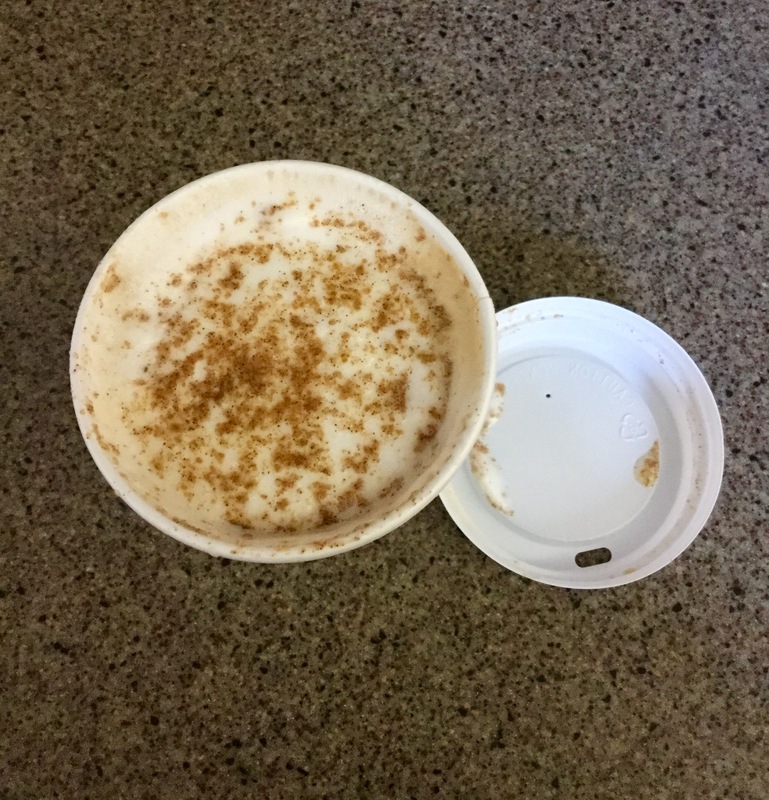 My one complaint of this drink is that the graham cracker crumbles sink to the bottom of the cup, leaving behind a soggy lump of crumbs at the end that is awkward to swallow. 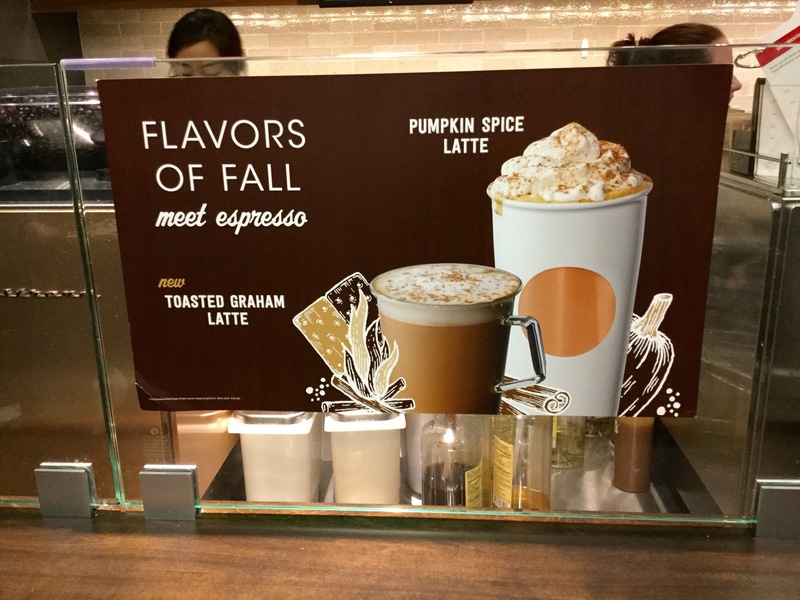 Aside from that, I am very impressed by Starbucks’ new fall flavor. The perfect balance between sweet and savory, the Toasted Graham Latte leaves you feeling warm and satisfied for a fraction of the calories. I would definitely recommend it to anyone and everyone. So make a beeline for the nearest Starbucks and order a TGL of your own. I doubt you’ll be disappointed.